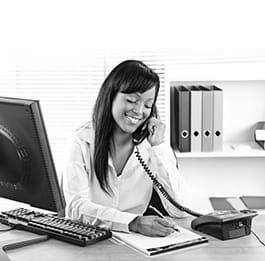 Secretaries (general) perform routine clerical and administrative functions such as drafting correspondence, scheduling appointments, organising and maintaining paper and electronic files or providing information to callers and visitors. Make appointments and keep diaries. Organize travel arrangements, business itineraries, conferences and social functions. Prepare agendas and make arrangements for meetings, attend meetings and take minutes. Keep informed how to use office equipment such as computers, fax machines, photocopiers, printers, scanners and phone systems, and report about non-functioning equipment. Serve refreshments, e.g. to managers and visitors. Convey relevant scheduling information. Present the schedule to the persons concerned, and inform them of any schedule changes. Approve the schedules and verify that everyone has understood the information sent to them. Keep an overview of the employees's vacations, sick leaves and absences, register these in the agenda and file the necessary documents and certificates. Schedule and confirm appointments for the personnel of the office, mostly managers and directive employees, with external parties. Manage the booking schedule for conferences and meetings of internal or external nature. Shop around and book reservations for travelling or hosting for office personnel.